"Atmosphere Pressure Observation On Arduino." 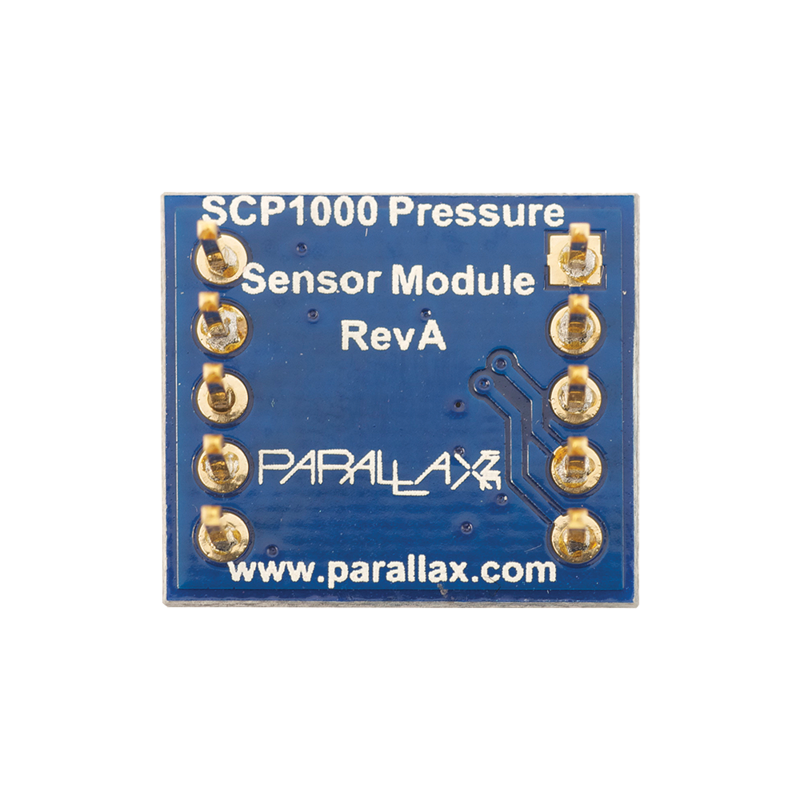 SCP1000 Pressure Sensor Module Guide. SCP1000 Pressure Sensor Module Schematic. SCP1000 Pressure Sensor Propeller Spin Demo. A good article on understanding pressure and altimeter computations from Freescale. 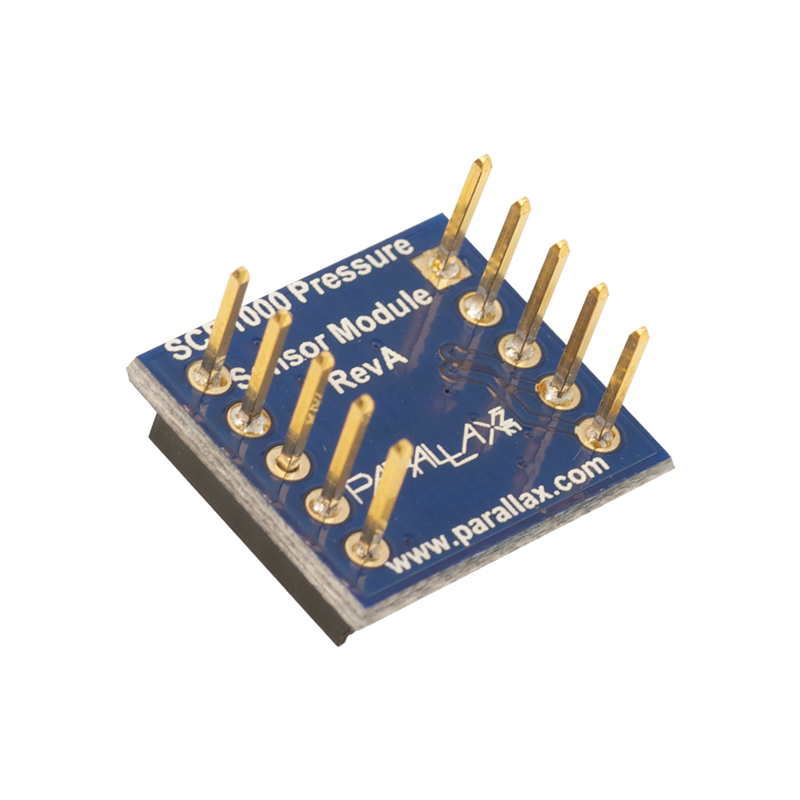 The SCP1000 Pressure Sensor Module is an absolute pressure sensor which can detect atmospheric pressure from 30-120 kPa. The pressure data is internally-calibrated and temperature-compensated. 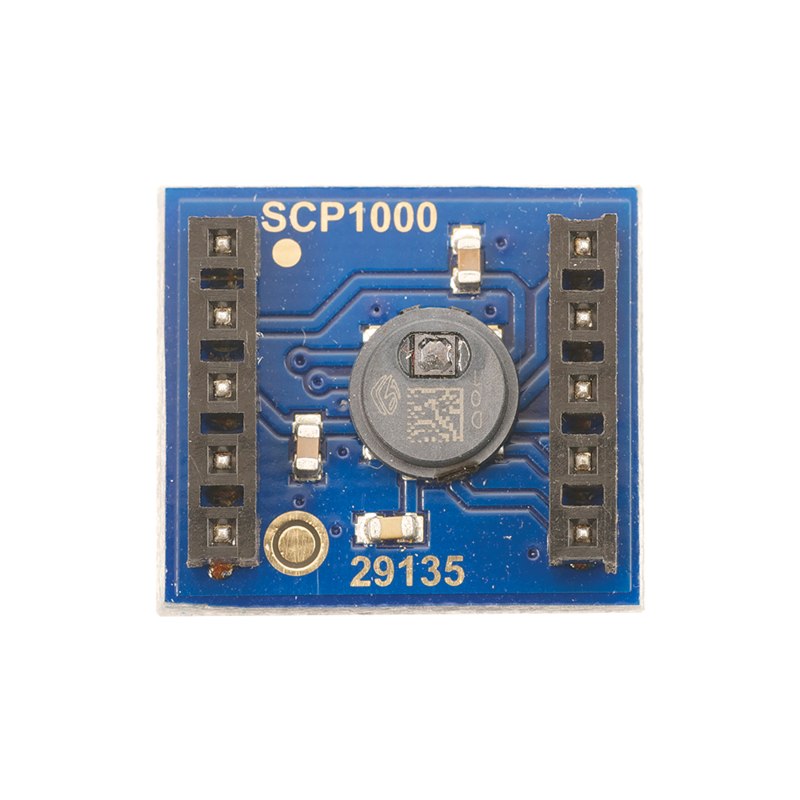 The SCP1000 also provides temperature data and has 4 measurement modes as well as standby and power down mode. A single multiplication operation using constants is all that is required to obtain pressure data in kPa or temperature data in degrees Celsius. Communication is via an SPI bus which also provides additional control lines, such as an interrupt line and trigger input. 4 measurement modes plus standby and power down mode provide low current draw. SPI interface provides an easy interface to microcontrollers. Interrupt output can reduce CPU overhead on the host controller. Barometric pressure for weather station. Voltage requirements: 2.4 to 3.3 VDC. Communication: SPI serial interface (max 500 kHz). Dimensions: 0.60 x 0.69 x 0.45 in (15.4 x 17.5 x 11.5 cm). Operating temp range: -22 to 185 °F (-30 to 85 °C).